Below is a card I recently created. Whether someone is spreading their wings to start a new career, going off to university or maybe moving away from home, it's nice to give them a beautiful homemade card to show you're thinking of them. 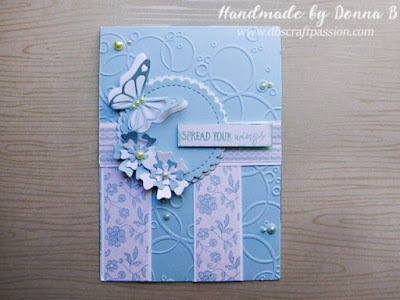 The gorgeous pastel blues are the perfect colour. 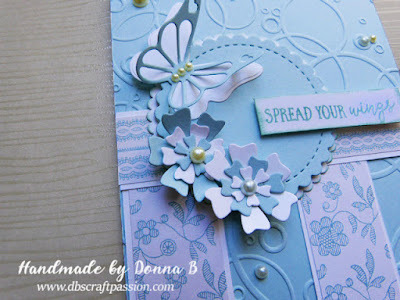 The various patterns and small details really compliment the card, as well as the beautiful butterflies looking as if they could just fly off the page.